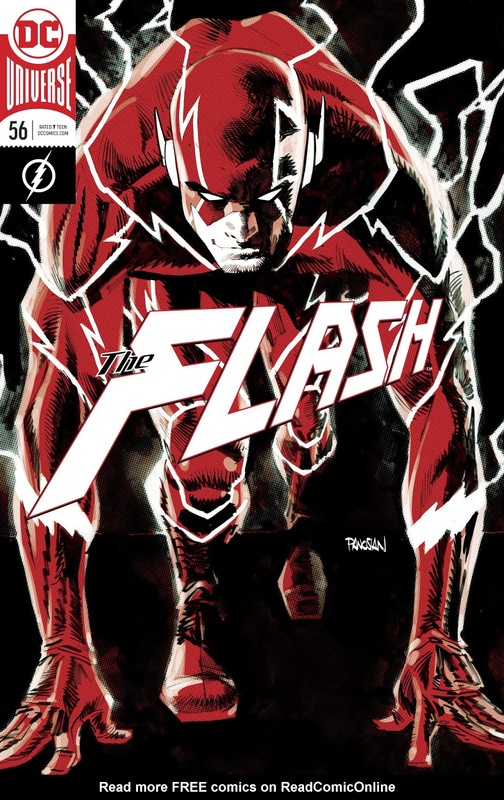 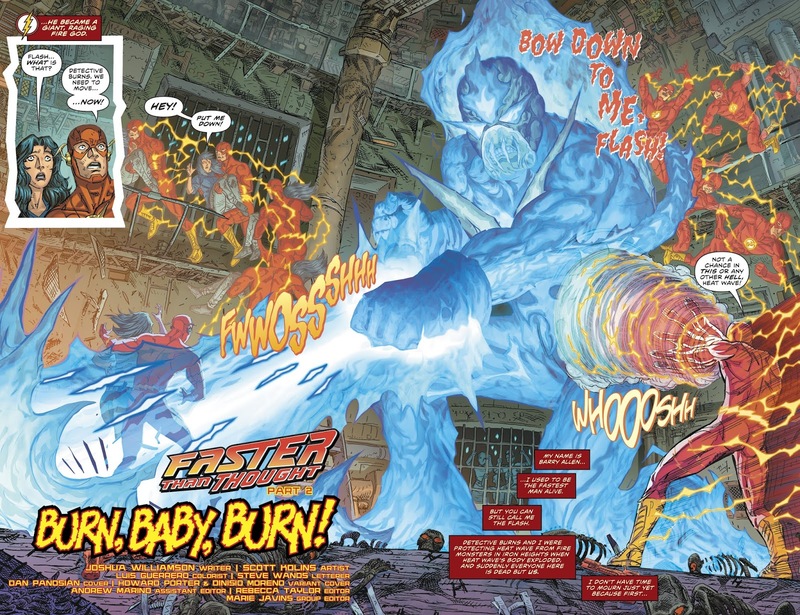 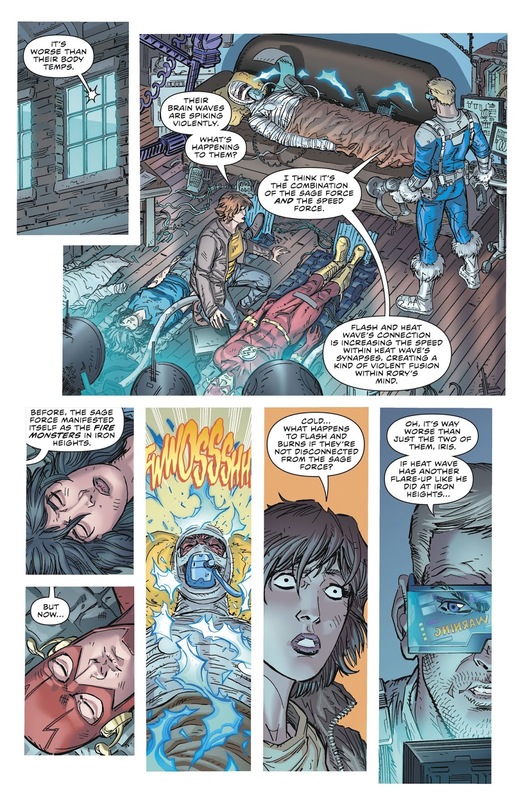 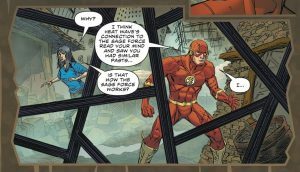 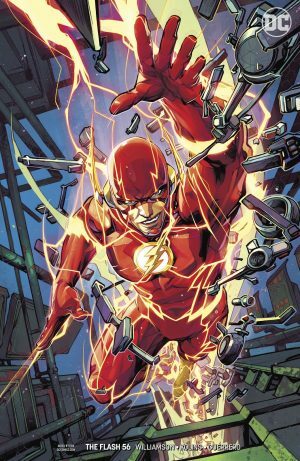 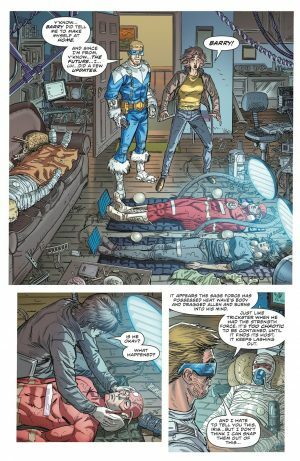 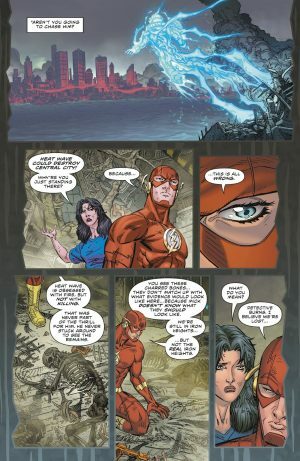 DC Comics Universe and The Flash #56 Spoilers follows. 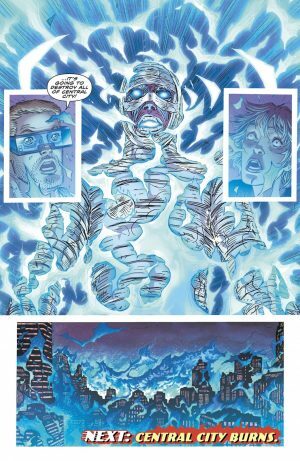 The Sage Force Revealed In The Wake Of The Strength Force and The Justice League’s Still Force Adventures! 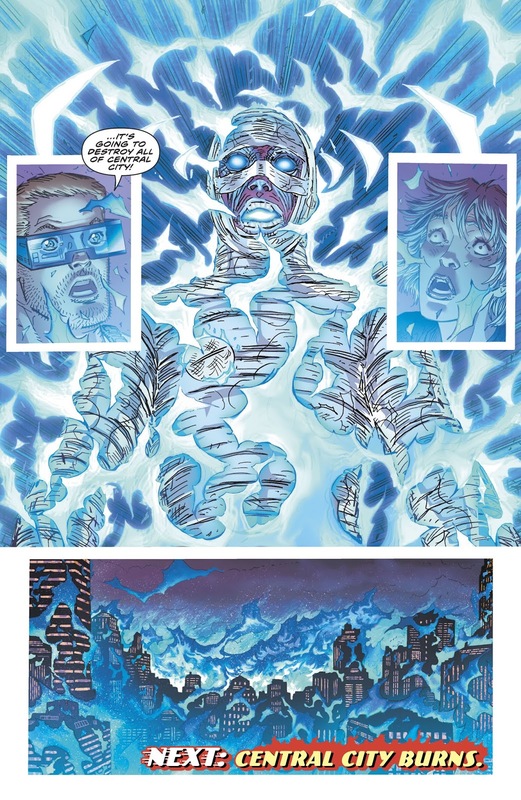 …whose powers have been amped by the Sage Force! The Flash and a cop are under siege by this uber-powered Heat Wave who is also has a fire-powere lady accomplice. 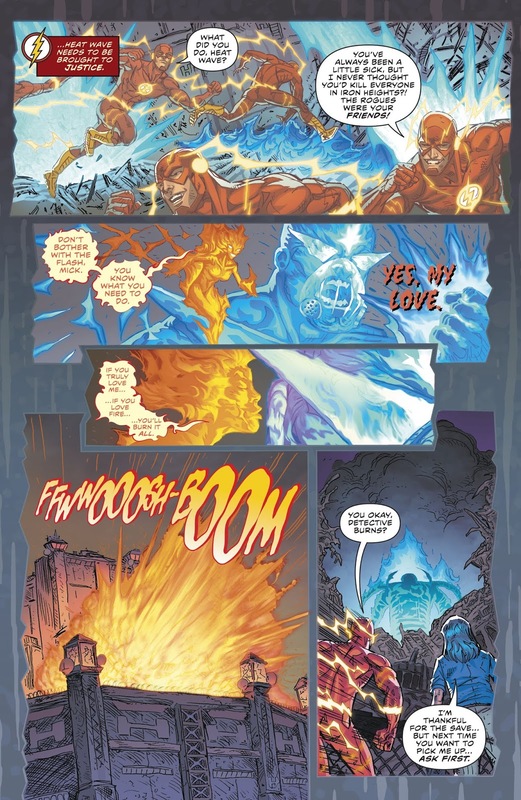 … he realizes they’re in Heat Wave’s mind due to the Sage Force. 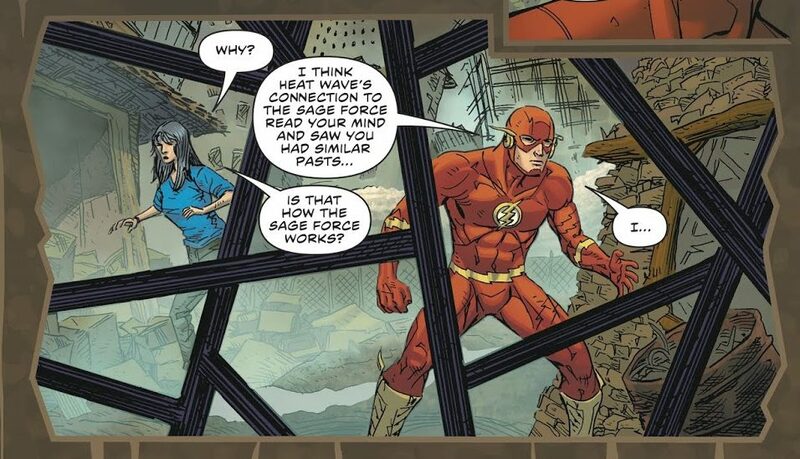 The Flash is still trying to figure out how the Sage Force works. 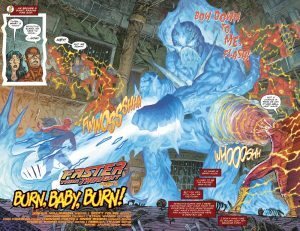 It is one of a few new Forces that have recently surfaced; the Strength Force in the pages of the Flash and the Still Force in the pages of the Justice League. 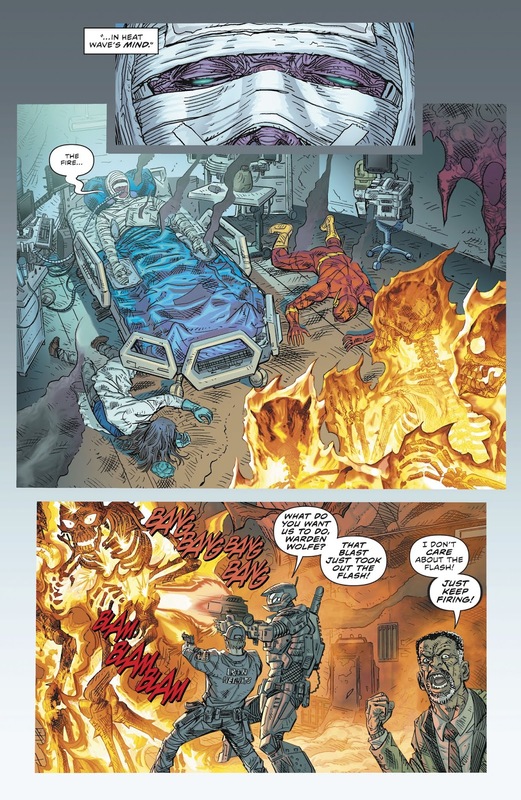 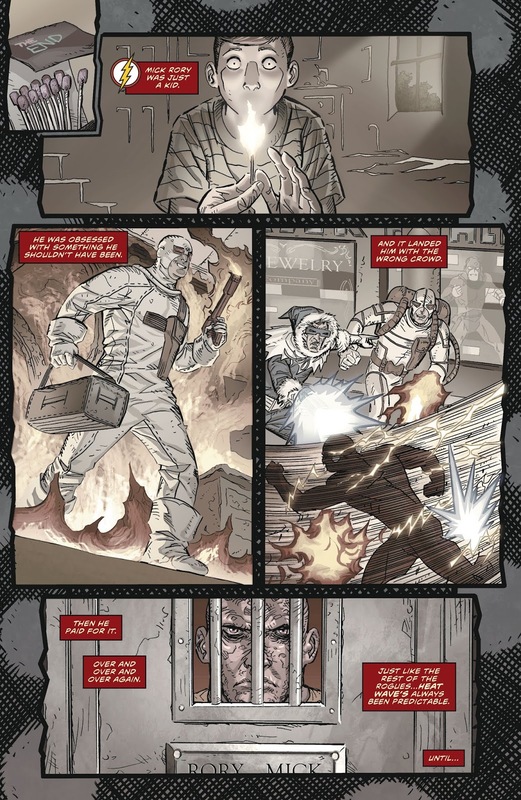 The real world Commander Cold has the cop, the Flash and Heat Wave away from Iron Heights; they’re sleeping effectively, but trapped in Heat Wave’s mind.